del castillo & associates is a boutique law firm specialized in legal services for international clients in Spain. Our team is ready to provide you a full legal and corporate support for your activities in Spain such as: acquisition of real estate, set up of businesses, company formation and management, regulatory compliance, litigation, citizenship and immigration services. 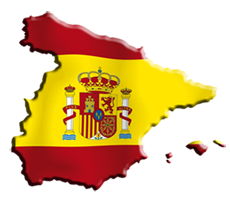 Allow us to be your trusted legal partner in Spain. How may we help you? Professional advisory services for acquisition of assets such as real estate or equipment as well as other type of investments in Spain. Our goal is to help you achieve best capital performance and deliver value to your stakeholders meeting your objectives. Comprehensive legal advice with a multidisciplinary approach for strategic business management. We are ready to render our services worldwide going along with your business in any development stage. Discover a new methodology of Business Law practice. We offer dispute resolution services in Spain to international clients and are ready to provide full support for court procedures, arbitration and mediation. Our team can protect your interests in civil, criminal, corporate & commercial, labour and administrative law cases. Assistance for processing all types of Spanish citizenship and immigration services: visas (tourism, business, short-term studies, etc. ), work and residence permits (investors, entrepreneurs, real estate acquisition, highly skiled migrants, researchers, etc. ), nationality, tax identification numbers (NIE) and other related consultations. Discover how to apply for your desired visa, permit or nationality request today. Wide experience in offering tailor-made corporate services in Spain for international clients including: company formation & management, accounting, audit, payroll, financial reporting, opening of bank accounts, tax filings, compliance, domiciliation and company secretarial services. Learn more about our corporate services and business law expertise. Over 10 years of experience in close connection with start-ups and investors. Are you an entrepreneur? Include valuable legal expertise to your project since day 1. Are you an investor? Request a comprehensive legal due diligence for any investment opportunity. Customized solutions for investors and entrepreneurs. Did you know that you can recover your Spanish mortgage costs?